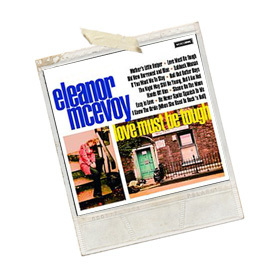 I suppose Eleanor McEvoy is best known as one of Ireland’s foremost Folk Singer-Songwriters? Well, on this album first released in 2008, she takes an eclectic bunch of song; some self-penned others are minor classics and some just appear to be random choices and performs them in the style of a late night Blues chanteuse; and the result is rather excellent. Opening with one of my favourite songs from my formative years; the Rolling Stones Mothers Little Helper, Eleanor takes the song by the throat and rings every last ounce of emotion out of it, as the tom-toms and piano formulate a smoky atmosphere of blue notes in the background. The re-interpretations come thick and fast with Rodney Crowell’s Shame on the Moon still retaining a slightly Western beat; but never sounding like this before as Eleanor’s smoky voice takes in a whole knew direction from the original. It was a similar story with Butch Hancock’s magnificent He Never Spoke Spanish to Me which is smothered here in a Tex-Mex musical guacamole. It was only on the third listen that I picked up the album sleeve and read the credits that I discovered that I should have known exactly what it was. The title track Love Must Be Tough is a co-write with Johnny Rivers and this version sounds like someone I should know but can’t pin-point; as Eleanor’s voice sounds a bit ‘Northern’ with ‘flat vowels’ rather than her normal warm tones. The theme of that song permeates many of the other songs; which aren’t of the ‘Ain’t Love Sweet’ variety. Surprises are around every corner; and for me one of my favourite songs happened to be co-written with Dave Rotheray from the Beautiful South. The Night May Still Be Young; But I Am Not could easily be Marlene Dietrich singing late at night in a North London Irish bar and later she takes Nick Lowe (& Dave Edmunds) I Knew The Bride (When She Used to Rock n Roll) and turns it into another smoky Blues number albeit in the mode of a jealous ex-ladylover. This re-release has two additional songs bolted on at the end; with another Rodney Crowell song Please Heart You’re Killing Me becoming a bit like a latter day Sandie Shaw tune; albeit with the Mavericks backing her. But for me the highlight of the whole album is Eleanor crooning the Fratellis Whistle For the Choir; which is an already great song made even better. All in all a really good album of very good songs performed very, very well.